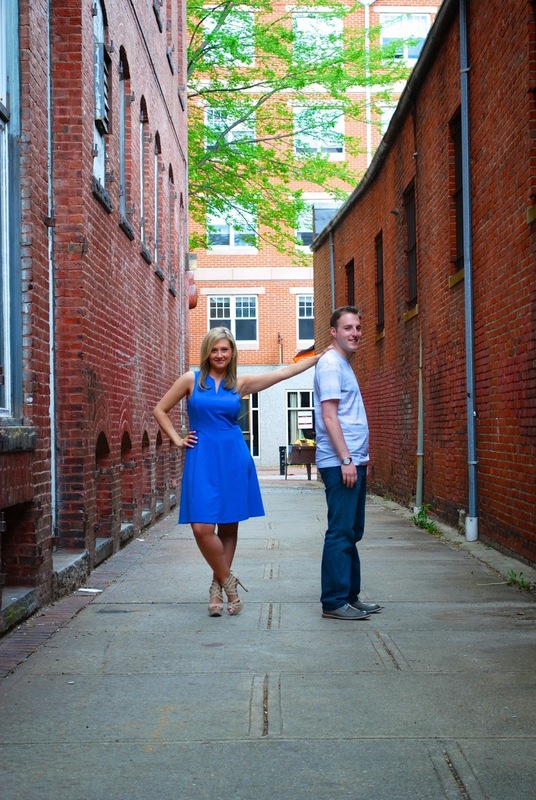 In a Nutshell...: Beautifully Bewitched: Engagement Session in Salem, MA! 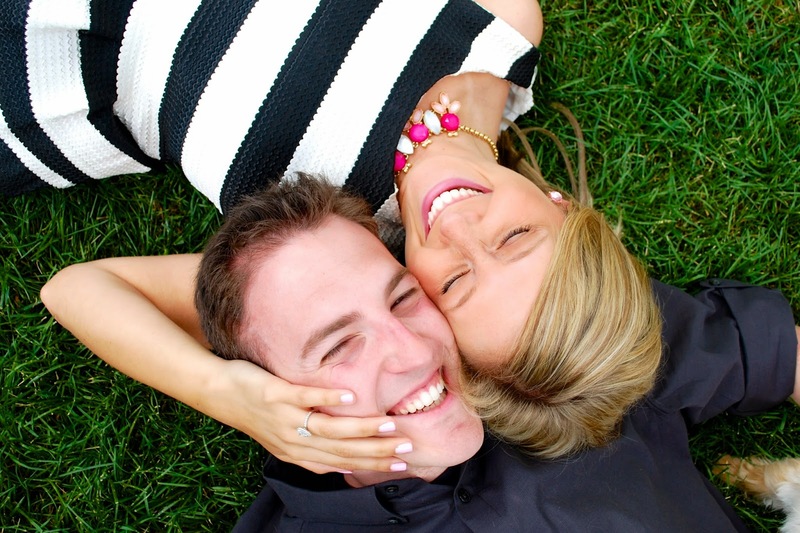 Beautifully Bewitched: Engagement Session in Salem, MA! This engagement session became one of my most fun and favorite session for a couple reasons - one was because we spent the day wandering around Salem, MA but also because the lovely lady in front of my camera was my cousin, Rachel! When she called me up to see if I would take her engagement photos with her now fiance, Cory, I immediately said, "yes, please!" I thought this would make a fitting blog as Halloween is this week! 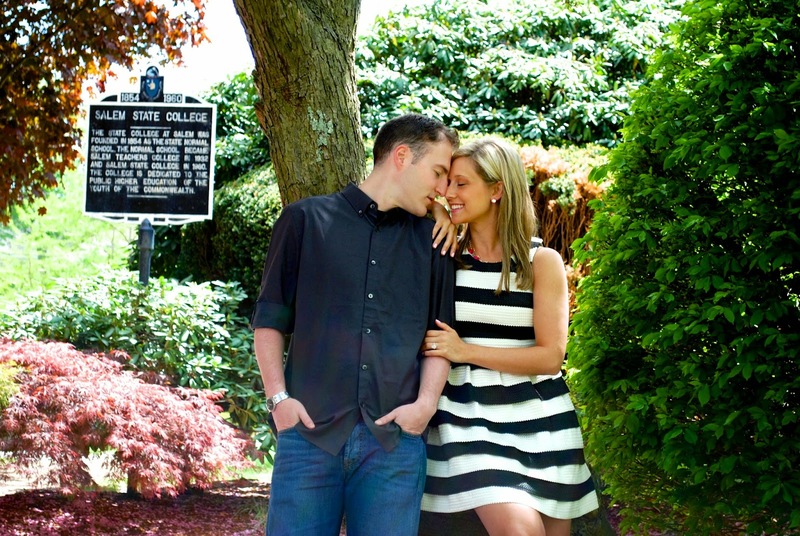 First we headed to their alma mater, Salem State University, where they first met. I had been to the Salem State campus once before when looking at potential schools for my sister but definitely didn't get to see the spots Rachel and Cory haunted and wanted to revisit! We had a lot of fun using some of the classrooms and stairways as well as some outdoor spots! They even brought Brady, their little pup, along. He enjoyed the sights when not in front of the camera but I think he actually enjoyed posing right along with his mama and papa. Then we ventured out to the more historic side of Salem, MA. These photos were taken this Spring so there wasn't much trickery going on but that didn't matter to us! We just wanted the historic backdrop. We took advantage of their cobblestone roads, interesting alleyways, and everything in-between! I knew I had to get a shot of the ring with Brady's collar. 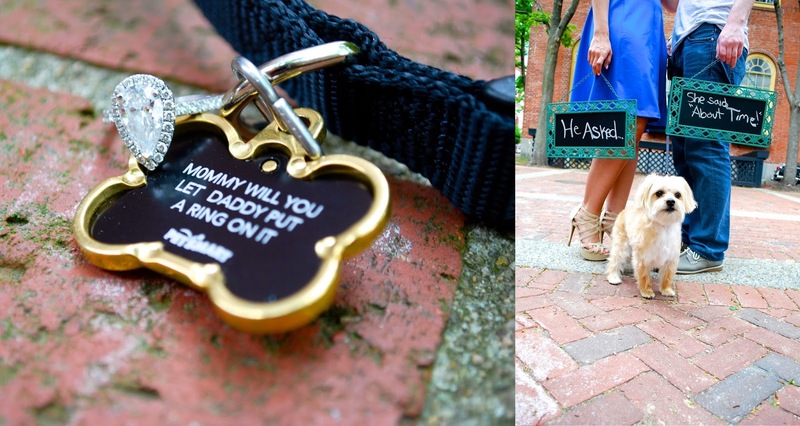 Apparently, Cory made Brady a special collar for the proposal - he even put him in a puppy-sized tux for the big question! How adorably sweet! 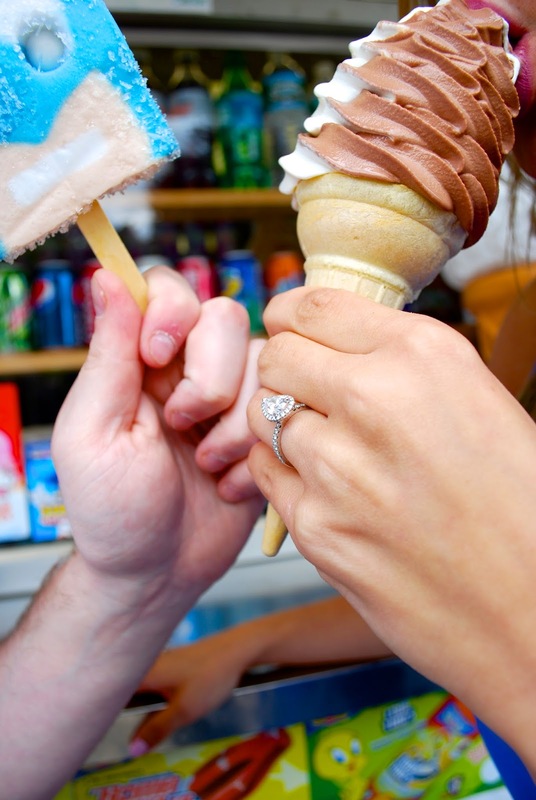 At the end of the day, we found a fun arcade and ice cream stand and ended the day on a sweet note! I loved how open Rachel and Cory were about the entire day. They wanted fun so we found fun! Every time I had a quirky suggestion, they went for it. Being open to fun really helps a session take off! 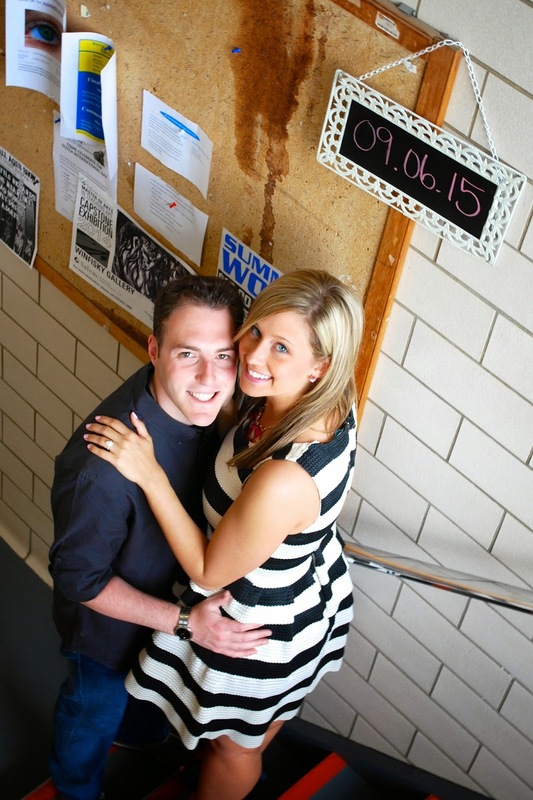 I am super pumped for the wedding next fall. I have a feeling it will definitely be a party. Your photos are so beautiful! 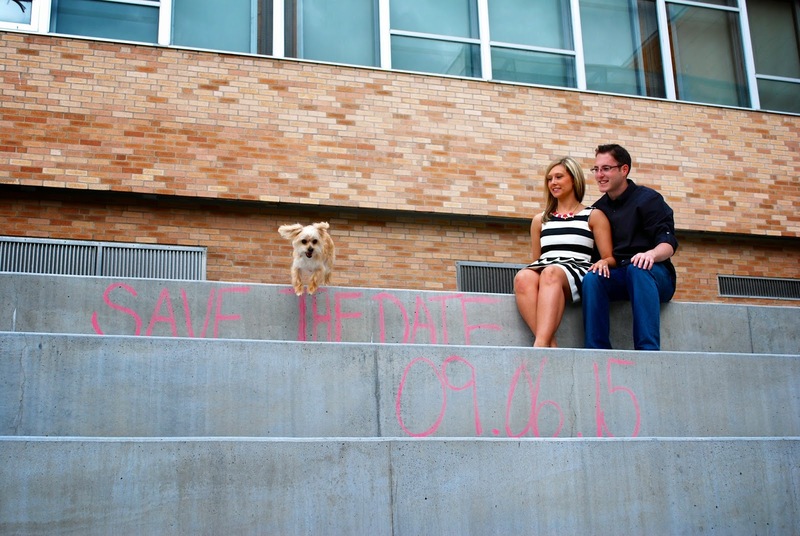 What a fun opportunity to take such adorable photos! I am really loving that last one! I think the photos look so natural too as they are comfortable with you taking them instead of a stranger! The last 2 photos are my favorite! 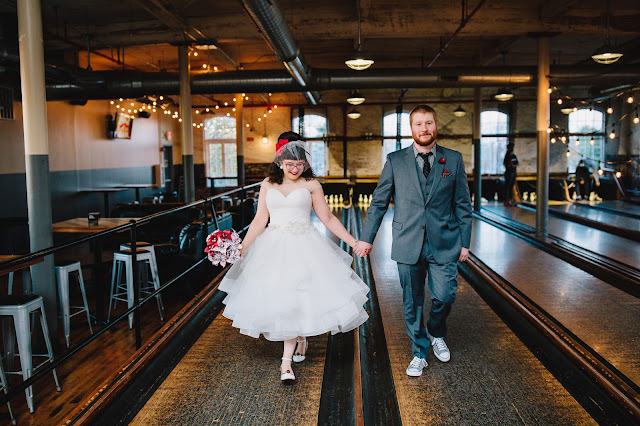 These pictures are beautiful, and suiting for the beautiful couple in them! You did an amazing job! I SO love the dog collar, how hilarious and yet romantically adorable as well. Best wishes for the husband and wife to be! Great job!